As we (TRY to) fly home to Port au Prince, I thought I'd review the whack things I could not bring myself to discuss earlier. There is an unwritten rule about telling embarrassing stories about people, even when the people are you. Official rules state that you must allow sufficient time to pass before sharing. The more ridiculous it is, the longer the waiting period. We have a story from 2005 that still cannot be told -- but these weird 2013 moments are safe to share now. In February strangers (at the time we had never met) showed up at the PAP airport with plans to move their son out of a corrupt and dishonest (in case you didn't know that corruption involves dishonesty) orphanage. I met Amanda and Jeremy in the airport parking lot and we exchanged our nervous greetings. Troy was gone but I thought, 'these people are normal, this should turn out to be an okay thing.' We went about getting to know one another and they started the legal process to move their son into foster care. A few days later they needed to appear in court and tell the judge why they were asking to take their son out of the orphanage. We were all fairly nervous, mainly because we understood enough about the leader of the orphanage to know that we were messing with somebody that would not appreciate the decision. (See how diplomatic I am?) The entire day was utter drama and thing after thing was sketchy and 110% peculiar. As we searched for answers things got pretty stressful. At some point as we were heading into court, Jeremy lost his insulin pump/port. (If you have diabetes, insulin pumps are small, computerized devices (about the size of a small cell phone) that you wear on your belt or put in your pocket that allow for a continuous flow of a rapid-acting insulin to be released into your body. The pumps have a small, flexible tube (called a catheter), which is inserted under the skin of your abdomen and taped in place. The insulin pump is designed to deliver a continuous amount of insulin, 24 hours a day according to a programmed plan unique to each pump wearer. The amount of insulin delivered can be changed by the user.) The day kept getting stranger and longer and longer and stranger. We went back and forth from the courthouse twice. If you have ever watched the way some of these things work in the developing world, you know that fancy, longhand, ceremonious, raised stamp letters are incredibly necessary for anything official to happen. Everyone needs to put on airs and act very important. Documents that are binding (in that moment) must take about three or ALL the hours to be dictated and written. We had mainly joined our friends to act as translators and drivers for this day. At some point late in the day my new girlfriend leaned over and said, "His pump came out and he is not doing well and he needs to leave the court room right now. Please go with him. I will stay here to finish the paperwork. He needs insulin." I looked at Jeremy and agreed that he looked like a person that could decide to vomit or die at any moment. Okay, I thought, no problem! A small town in a developing country after 5pm, I'm sure insulin is available right next door. That part is a lie. I knew we had a problem, and the problem was bigger than me not knowing a dang thing about Diabetes. I had no idea how long I would be outside with Jeremy. Troy began searching the town on foot while I guarded our friend as he tried to be alive and coherent in the back of our truck. Minutes passed and more minutes passed. Troy kept texting to say how many times he had struck out in his insulin search. I began to imagine what I might do if Jeremy decided to go into shock or die or something. Finally, Troy gave up and decided that we had to head to Port au Prince in order for insulin to be found. Troy was afraid to wait because we were two hours away and Jeremy was getting sicker. Amanda was still in the court room, without a translator, fending for herself. Troy and Jeremy left and I waited for Amanda. Approximately 10 minutes later, Amanda emerged, documents in hand, victorious. We asked the attorney to help us get back to town. The attorney took it upon himself to drive like a bat (that does not bite Isaac) out of hell. We caught up to Jer and Troy and jumped in with them. Troy had located insulin in a small town along the way. 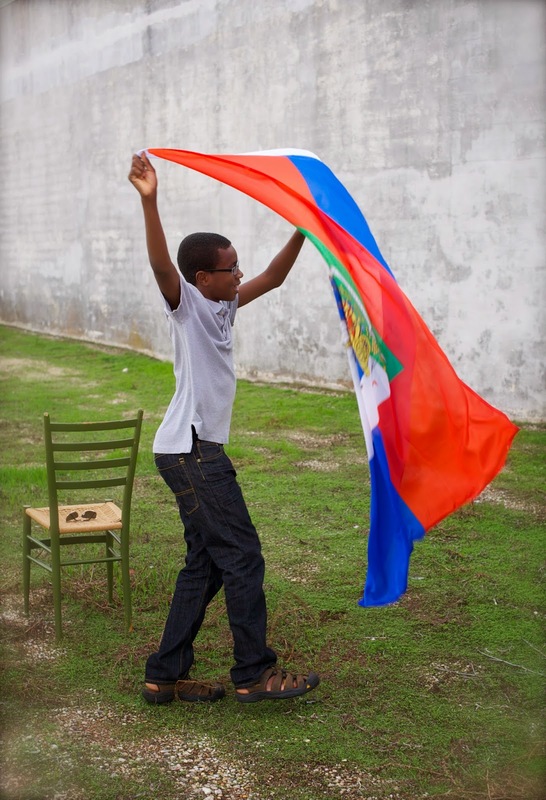 An old friend from our first years in Haiti had some on hand. It seems sketchy and maybe it was, but when Jeremy was barfing out of the car door and was the color of people lying in their coffin, we decided that any insulin from any source was an excellent decision. Thankfully, this story ended well. In our minds there were capes and defibrillators and CPR and many life-saving heroics. In reality it was just some fast driving, sweat, and vomiting. In October I was trying to finish up my home-birth requirements for my midwifery training. I had four of the five and only needed one more observe and one more new born exam. Some really cool midwives in the Dallas area had been allowing me to come to births when it worked out okay for them and their clients. One evening the phone rang in the middle of the night with an offer to go to a birth. It was located in the middle of nothing (that is the descriptor for most of Texas) and I was too chicken to find it by myself. I begged Troy to drive me and told him we needed to rush if I was going to make it in time. When we arrived I felt odd but thought, "who doesn't feel odd at 3am?" I sat down on the floor to begin charting for the midwives. A few moments later I started to feel a little spinny. I glanced up to see a mouse about 3 feet away smiling at me. I forced myself not to scream and ruin the birth zen. I jumped up and sat on a chair instead. A few minutes later a baby (perfect baby!) and a placenta arrived. It was a few minutes later when I knew that my weird feeling was not related to 3am as much as it was to being ill. I asked if there was a bathroom (the only one I knew of was right there in that same room where a baby had just entered the world). I bolted for the bathroom just in time to lose 2/3rds of my innards in a complete strangers home while they were holding their 8 minute old baby girl. Things continued to spin and I found my way out of that house and to the car where Troy lay sleeping in the backseat. In my mind there were capes and life-saving and rodent-deterring heroics. In reality it was just some fast driving, sweat, and vomiting. Last week lots of writers shared their top moments of 2013. I like those. I enjoy remembering and I like looking back and taking stock. I would like to be super detailed and over the top about reviewing 2013 but I am preparing a circus to take the show on the road and I don't have the time to sit with ALL the memories. This post about Paige - Fly Paige!